A good strategic plan isn’t a golden ticket. We’ve seen organizations construct thorough, inspired plans that flop during execution. Big belly flops that make everyone sitting around the pool curse at the dufus who thought the dive was a good idea in the first place. Before companies invest in the planning process, organizers should assess their company’s ability to act, and more importantly the probability of inaction, against execution of strategy. When that inaction becomes deliberate, you’ve got sabotage folks. It doesn’t always get so egregious, but don’t kid yourself—sometimes it does. Strategy brings about change and change is not always easy to accept. So here are seven transgressions against strategy that you should look out for, with links to improve the condition or expand the topic. Top leadership does not embrace strategy. People who have grown their company without a defined strategy can sometime see strategic planning as superfluous. So, let’s take “strategy” out of the dialog. Could the company be more focused? More effective? If yes, a good strategic plan will help take stock of where you are now and best determine where you want to go. Annual goals are not properly integrated into budgets. In strategy, as in other financial exercises, it is important to not only estimate the cash outlay required to implement each area of your plan, but also identify the revenue you can expect to generate in fulfillment. By realizing effort and reward, strategic gains then can become part of your organization’s financial picture (which may also help encourage buy-in from reluctant leaders). Managers and staff are not involved or recognized in the process. Involve employees in the process by interviewing team leaders and surveying the whole company. 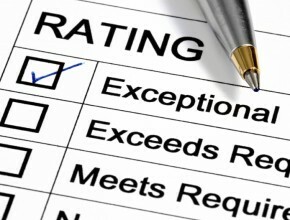 Incorporate this feedback into your Strengths/Weaknesses/Opportunities/Threats assessment. Your most candid, insightful feedback usually comes from within. Also make sure to tie goals to incentives and visibly celebrate the heck out of the milestones when you accomplish them. Insufficient energy put toward communicating the plan. Assess how you communicate internally and externally to your stakeholders. (i.e. Does your staff receive effective communication currently?) How might you be able to reinforce your strategic plan to your stakeholders? For every stakeholder group, identify your best channels of communication and if you don’t have one, create it with newsletters, Facebook, breakroom posters, etc. Securing and committing to the ways to reach out to your stakeholders has value way beyond strategy as well! Customers don’t really count as stakeholders. If anything has been driven home with the advent of social media, it is that customer sentiment is a powerful force. To play in today’s market, an effective, informative customer engagement program is paramount. Don’t be misled here; customer engagement isn’t about keeping everyone happy and roses in bloom. Losing customers has real financial impact. If you haven’t, you need to determine how much your customers are worth in dollar terms to your business. Information hording and rampant individualism are the most blatant ways organizational strategies suffer. Great strategic plans have large organizational objectives that almost always require interrelated goals and tasks across departments. Trust is a huge factor here—Trust that the strategy is “right;” trust that others will not forgo strategy to make more immediate, visible gains; and trust that shared goals will be given equal effort to succeed. The bigger picture requires knowing what your organization-wide strategy is and understanding that the only way to get there is as a team. Plans aren’t actively used to guide decisions. Regular reviews of strategic progress are key to making sure your plan stays current and relevant. Look at the timing of your regular meetings and extend one meeting each month by 15-30 minutes to report out about strategy. Look toward your quarterly and annual reviews to assess the need to change tactics if necessary. Great strategy reviews are the heartbeat of any strategic management process. Reviewing the status of your goals and objectives and adapting your tactics at regular intervals will help ensure you’re working on the right stuff. A effective plan is like a masterfully reverse engineered blueprint. It takes teamwork and thinking beyond what is the norm today. Here’s to staying savvy and sinless in your strategic efforts! How do you avoid fiery strategic pitfalls? - Cammy Elquist LoRé is the Director of Project Communication for OnStrategy. She can be reached @cammyelquist on Twitter or cammy@onstrategyhq.com. I love these newsletters! Keep up the good work.